Although phyllosilicates are common in almost all types of rocks, their detailed study has not advanced in proportion to their importance. 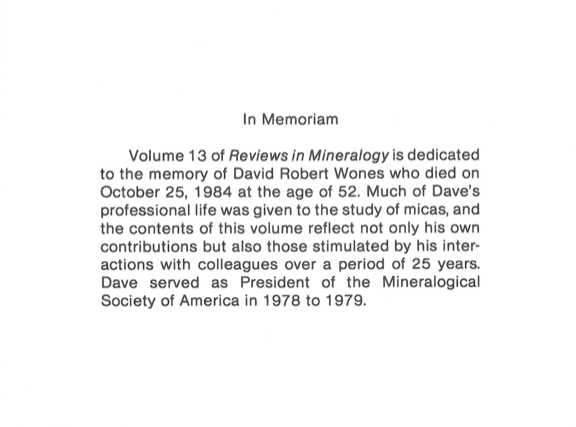 Books and reviews on this subject have been restricted primarily to the areas of clay mineralogy and soils. Such treatments understandably restrict coverage of the occurrences of the macroscopic-size species as well as much of their mineralogical and petrological nature. It was decided at the outset that not all phyllosilicates could be covered in a single book, and the size of this volume addressed only to the micas justifies the original decision. Kaolins, serpentines, chlorites, etc. will have to wait until some later date. This volume attempts to gather together much of our knowledge of micas, the most abundant phyllosilicate, and to indicate promising areas of future research. 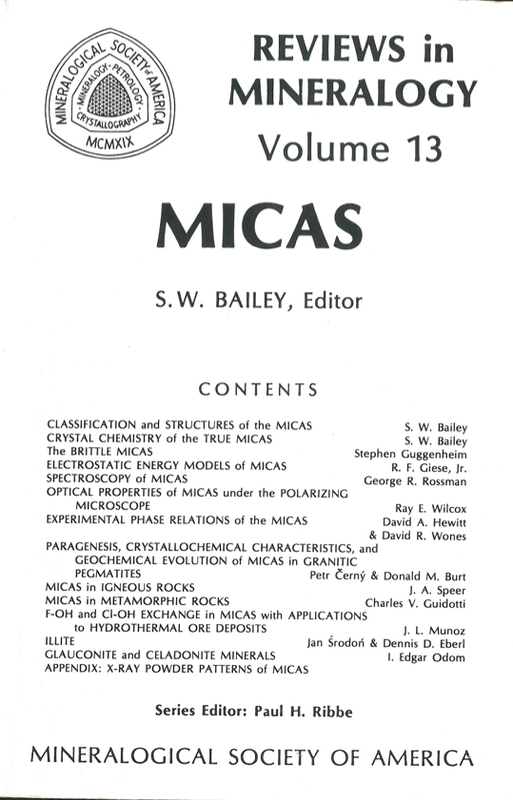 Chapters 1-3 lay the foundations of the classification, structures, and crystal chemistry of micas. Chapter 4 treats bonding and electrostatic modeling of micas. Chapters 5 and 6 cover spectroscopic and optical properties. Chapters 7-13, the bulk of the volume, are devoted to geochemistry and petrology. These include phase equilibria and the occurrences, chemistry, and petrology of micas in igneous, metamorphic, and sedimentary rocks, pegmatites, and certain ore deposits. Some treatments are exhaustive. All are at the forefront of our present knowledge, and indicate clearly the practical applications'of the study of micas to ascertaining various parameters of origin and crystallization history, as well as the many problems that still exist. The aim of this type of treatment is twofold -- to provide a handy reference volume for teachers and students and to enable researchers to pick more easily those directions and problems for which future research is most needed or is apt to be most productive or most challenging. X-ray powder patterns of micas in the literature are of surprisingly poor quality. The best are collated and supplemented with additional new patterns in the Appendix as an aid to identification.